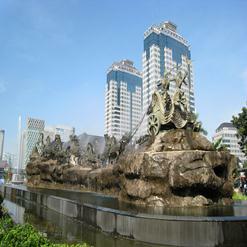 Reformation Monument is located in Jakarta district which is well-known for featuring some of the best monuments in Indonesia. 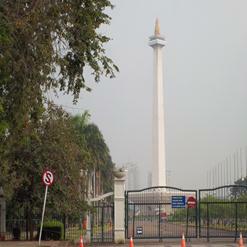 This statue commemorated the killing of four Trisakti University students during the demonstration demanding President Soeharto to step down from his position on May 12, 1998. These students were killed by Police/Military snipers. The killing was followed by widespread riots all over Jakarta from May 13 to May 15, 1998.